Changes will affect developers upon the completion of building works! 3.2 Contain two or more separate dwellings. Developers will need to give to the Secretary of the Department of Finance, Services & Innovation (“the Secretary”) a bond equivalent to 2% of the contract price for the building work. This bond will serve as security for the rectification of any building defects. The bond will need to be paid before an occupation certificate is issued for any part of a building for which the building work was completed. 3.3 Another form of security prescribed by the regulations (the regulations have not yet been finalised). The failure to pay a bond may result in a fine being issued on the developer. Developers will need to engage an independent building inspector to complete a defect inspection report on the building works. The time frame for when a developer is required to appoint the building inspector is determined by the initial period of the strata plan. 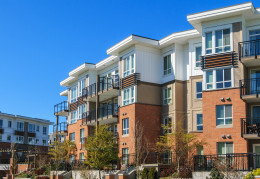 The initial period begins once a strata plan is registered and ends on the day that lots totalling one third of the total unit entitlements for that strata plan have been sold. 1. If the initial period ends within 12 months of completion of the building work, the developer must seek to appoint a building inspector within that 12 month period. If the initial period does not end within 12 months after completion of the building work, the developer must notify the Secretary of this fact within 12 months and 21 days after the building work being completed. 2. The proposed building inspector must be approved by the owners’ corporation by a resolution at a general meeting of the owners’ corporation. The owners’ corporation will notify the Secretary of their decision to appoint or refuse to appoint the proposed building inspector. The Secretary may appoint a building inspector if necessary. 3. An initial inspection and an interim report must be finalised by the building inspector within 15-18 months after completion of the building work. The interim report must identify any defective building work, where possible, identify the cause of the defects and list other matters required under the regulations. -4.5 Not contain information about defective building work that was not contained in the interim report, unless it arises from rectification works undertaken by the builder in response to the interim report. Copies of the interim and final reports are to be provided by the building inspector to the developer, the owners corporation, the Secretary and the builder. The developer may be fined if they fail to meet the mandatory inspection timetable or provide the necessary notifications. The developer will be liable for the cost of the building inspection reports. Where possible, the rectification works must be performed by the builder responsible for the defects. If the developer does not attend to the rectification of the defects, the bond will be applied to meet the cost of remedial work. The Act does not address what will happen in circumstances where the cost of the rectification works exceeds the value of the bond, however, it may be possible to make a claim under the building contract. The Act is also silent on what will happen if the developer does not complete the necessary rectification works. A claim may not be available under the building contract as the building contract would be a contract between the developer and the builder. If no defects are identified by the building inspector, or the defects have been rectified the bond will be refunded to the developer, or if the full value of the bond exceeded the cost of rectification works, the balance of the bond will be refunded to the developer. The bond must be claimed or released within 2 years after the completion of the building works, or within 60 days of the final inspection report being provided by the building inspector, whichever occurs later. Are aware of the new laws that are about to commence. Have complete contracts for the building works with builders so that the bond may be accurately calculated. Have defect liability provisions in building contracts to enable recovery if needed regarding defects and the bond. Are aware of the cost in providing the bond as it may be withheld by the Secretary for a period of time until the works are done and the final report provided. Are aware that the bond may be paid by way of a bank guarantee. Must maintain accurate records about the date building works are completed. Must keep details to accurately record the mandatory inspection timetable applicable for each job. Should you require further information about changes to the Strata Laws, do not hesitate to contact our Business and Property team on (02) 9521 6000.